For the batter: beat the egg and then add the flour, milk and baking powder. Mix until smooth and lump-free and then season with salt and pepper. Place the batter in the fridge and leave to rest for one hour. De-shell the prawns, leaving the tail intact. Place the oil in a deep pan and heat to 180°C. Roll the prawns in flour, dip into the batter and then roll through breadcrumbs. Carefully place the prawns in the cooking oil and cook for 2 minutes. 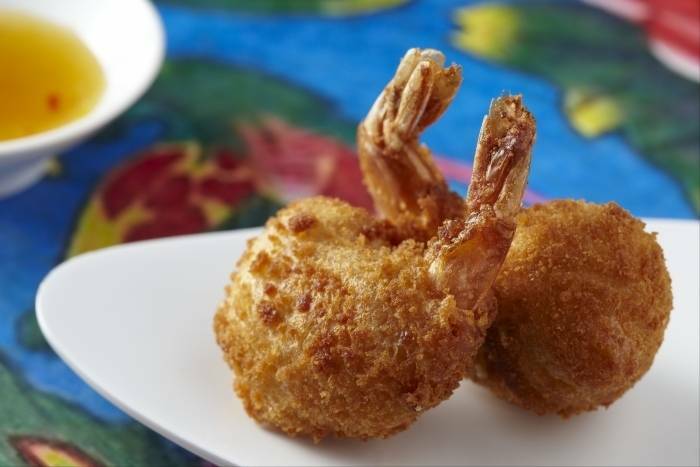 Once golden brown, remove the prawns beignets from the oil and drain on kitchen paper.